The Big News in Military Disability: Hyperbaric Treatment for TBI: Does it Work? Hyperbaric Treatment for TBI: Does it Work? A new report issued this month in the Journal of the American Medical Association (JAMA) Internal Medicine has shown that hyperbaric treatments for TBI are not as effective as previously thought. Hyperbaric treatment has become increasingly popular for veterans suffering from persistent concussive symptoms, including balance problems, fatigue, headaches, anxiety, forgetfulness, and irritability. The veterans who participated in the study were divided into three groups. The group who spent 40 sessions in the hyperbaric chamber breathing pure pressurized oxygen experienced no more improvement than the control group who did 40 sessions in a low-pressure chamber breathing normal air. However, both of these groups did show significant improvement over a third group that had only traditional care. Researchers said that the improvements noted were more likely from a placebo effect and from the interaction with the staff. 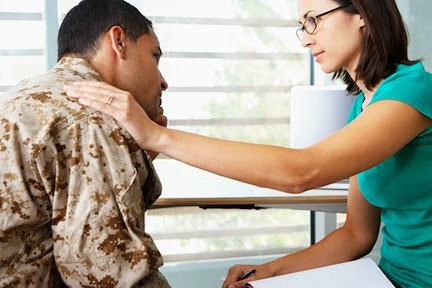 Two experts not involved in the actual study commented that the veterans experienced a healing environment and that while the hyperbaric treatment itself did not produce any improvement, the “ritual of intervention” did. A fourth study is underway. The VA announced November 24 that it has fired the Director of the Phoenix VA Health Care System, Sharon Helam. The Phoenix VA facility was the location where the wait-time scandal erupted last Spring. Helam is the fifth senior executive fired by the VA in the last few weeks.